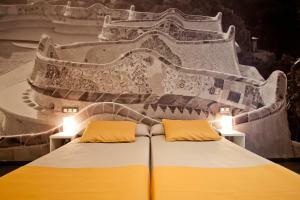 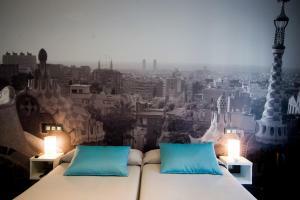 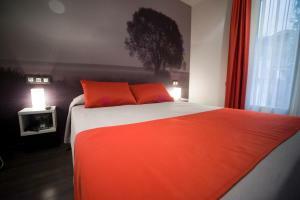 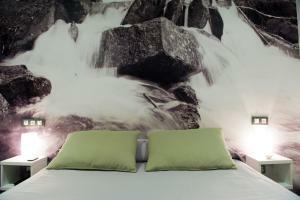 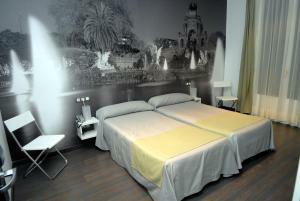 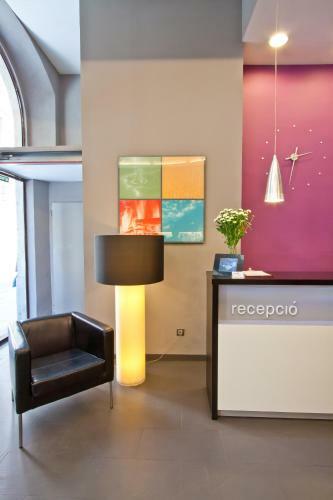 The stylish rooms at Hotel Curious feature large photos of Barcelona’s major attractions and monuments. 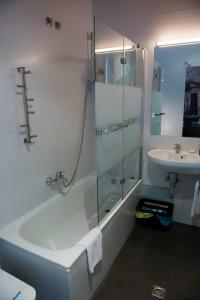 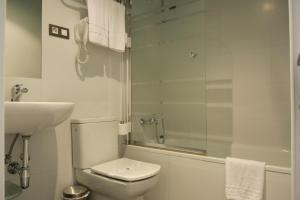 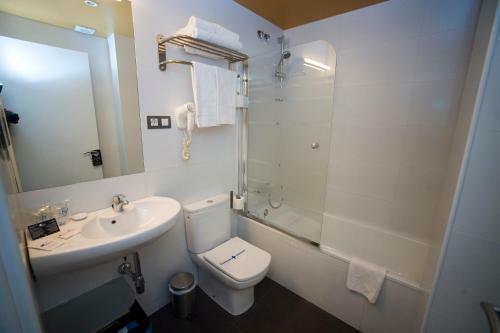 The modern bathrooms are equipped with a hairdryer. 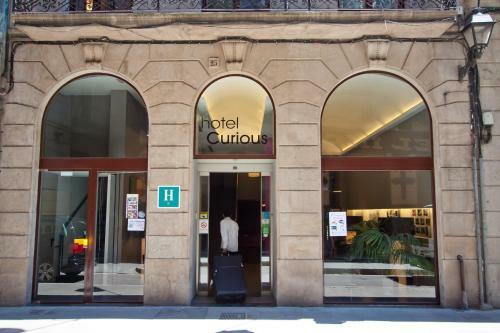 The Curious has a dining room where guests can enjoy a varied buffet breakfast. Room service is available and there is also a bar. 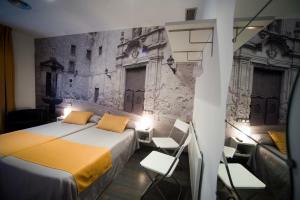 There is a tour desk and guests can hire a car or bicycles at the hotel. 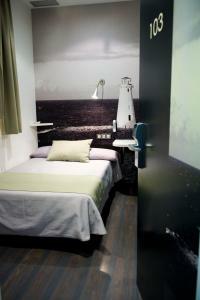 Massage treatments are also available. 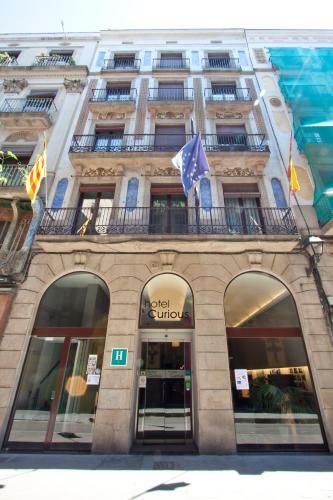 The central location makes exploring the city very easy. 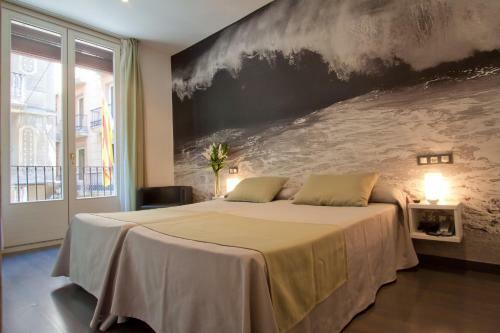 You can reach the beach in 10 minutes by taking the number 59 bus on Las Ramblas. 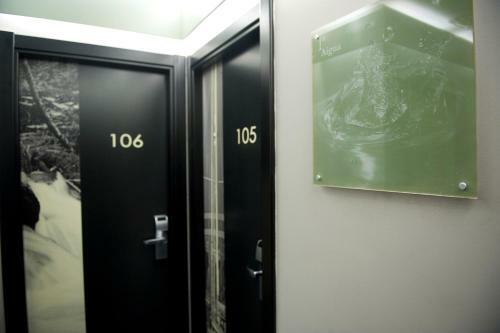 Please note, massage treatments are available upon prior reservation. 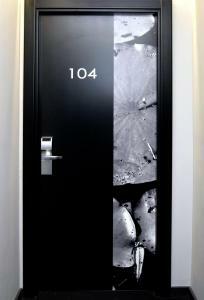 Please contact the hotel for more information. Please note that for group reservations of 10 guests or more, different policies and conditions may apply. 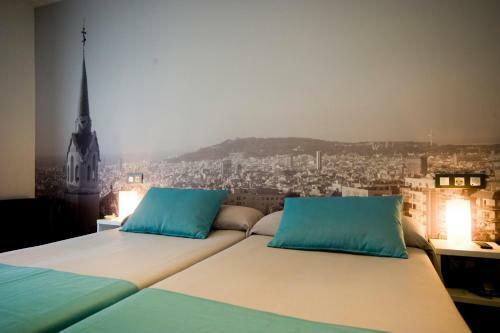 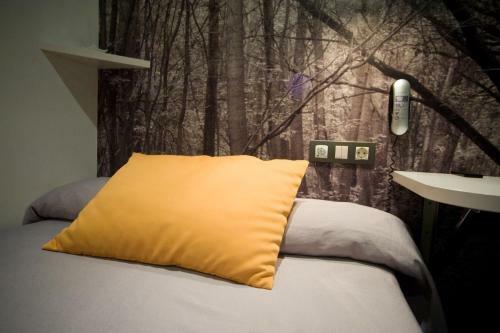 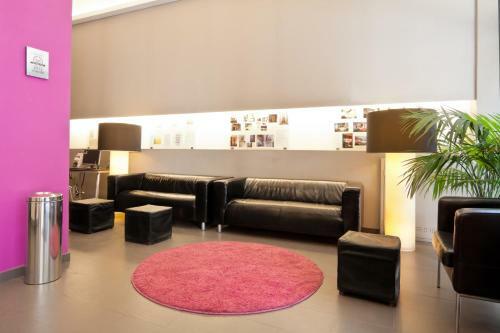 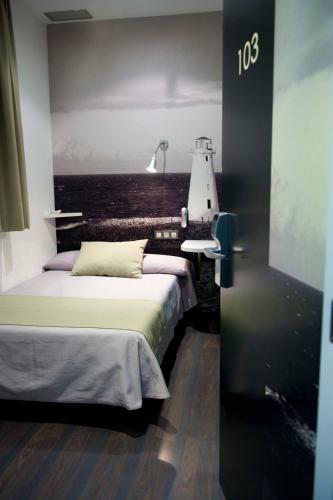 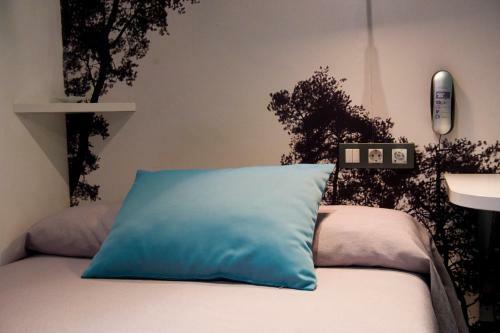 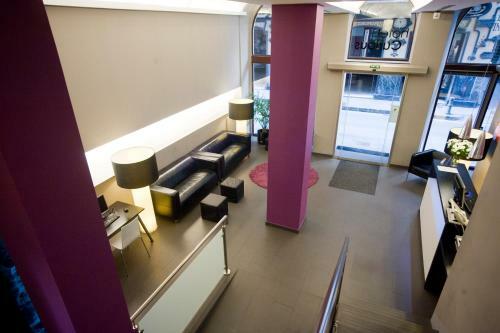 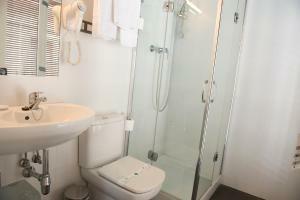 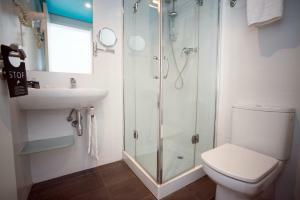 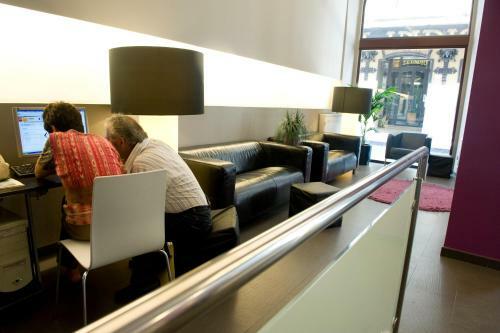 This air-conditioned room is decorated with various images of Barcelona and features free Wi-Fi, satellite TV and a private bathroom with hairdryer. 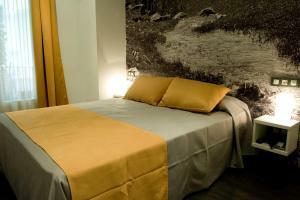 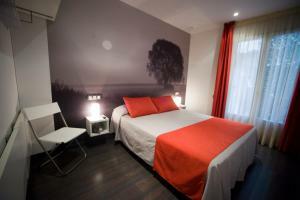 Rate: € 81.00 ... € 210.00; select dates below to get current rates. 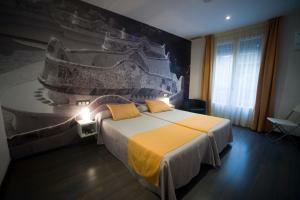 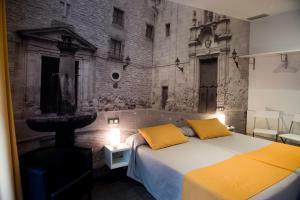 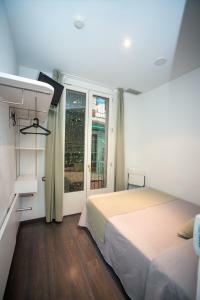 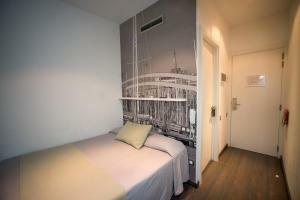 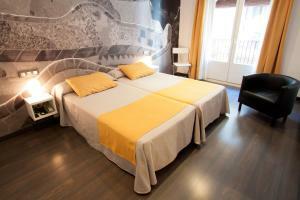 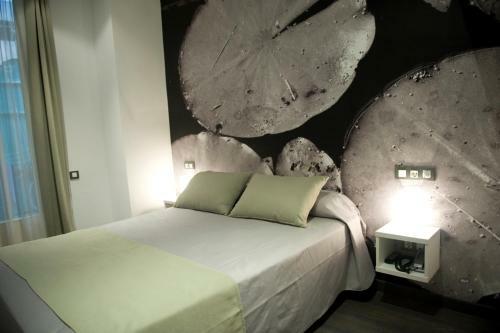 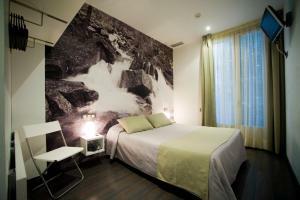 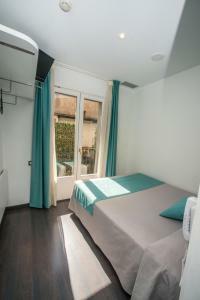 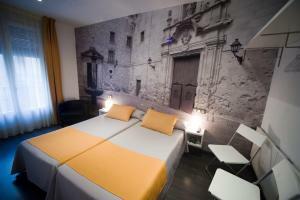 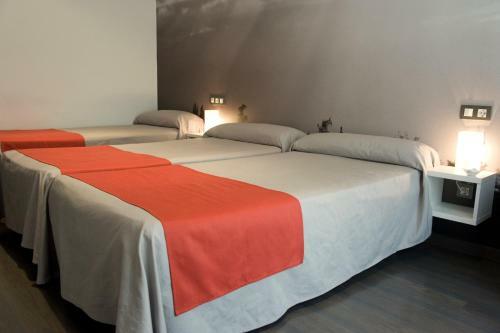 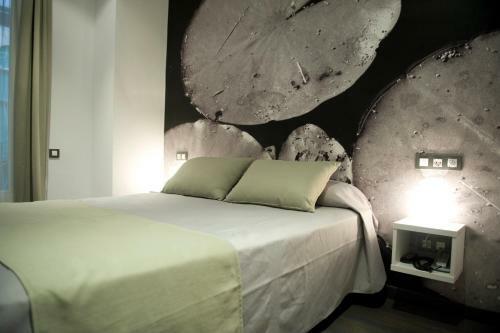 This smaller room is decorated with various images of Barcelona and features free Wi-Fi, air conditioning, satellite TV and a private bathroom with hairdryer.